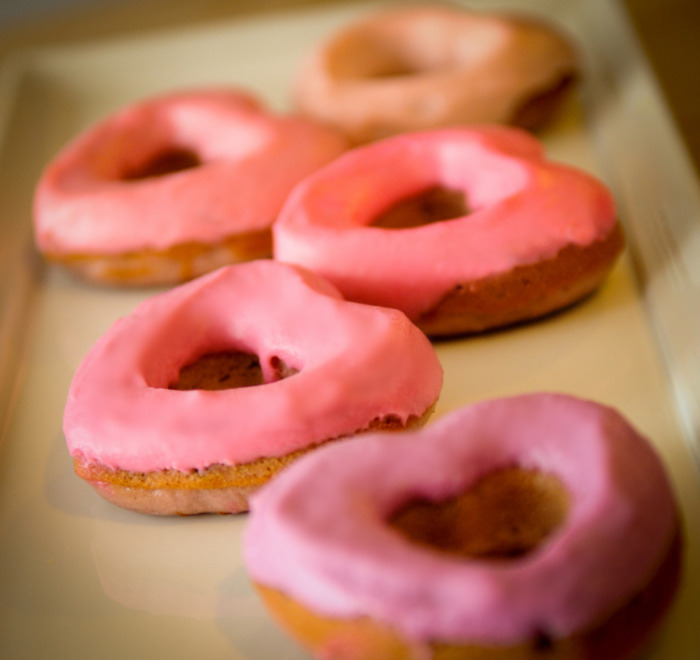 Cherry Donuts with Lemon-Mascarpone Glaze — potato chips are not dinner. I have been wanting to make donuts (or is it doughnuts? !...who knows) for the longest time, and with Valentine's day coming up I couldn't resist making some cutesy heart-shaped ones. I did much DONUT RESEARCH to create this recipe because we all know donuts are serious, serious business. Everything I came across contained some combo of maraschino cherries (ew) , pink food coloring or cherry extract. I wanted a true cherry flavor and these definitely have a deep, sweet, tart cherry flavor. I chopped the cherries into fairly large pieces, and getting a bite with a fresh cherry is such a treat! The lemon-mascarpone icing compliments the flavor of the donut absolutely perfectly. The best part is they are also super simple to make! Now, I have to warn you! If you're craving a deep-fried-sickly-sweet-glaze kind of donut you won't find that in these lil guys but trust me, they are DELICIOUS and disappeared very quickly! 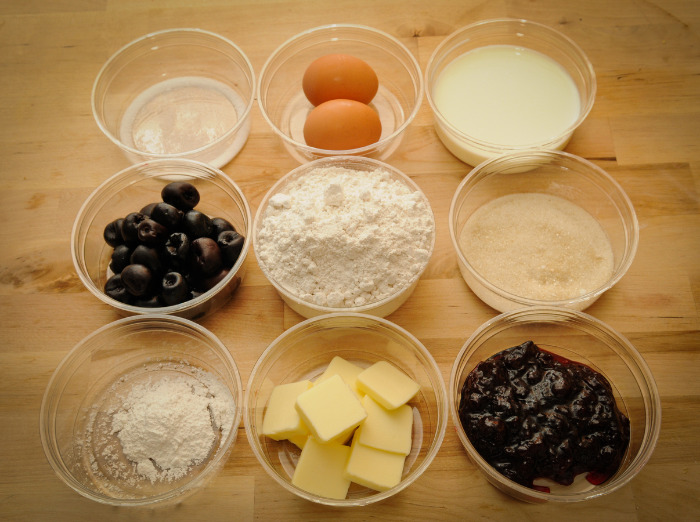 In a large mixing bowl, sift together flour, sugar, salt, and baking powder. Add buttermilk, eggs, butter, and cherry preserves until just combined. Fold in chopped cherries. Bake 4-5 minutes or until the top of the donuts spring back when touched. Let cool in pan for serveral minutes before removing. 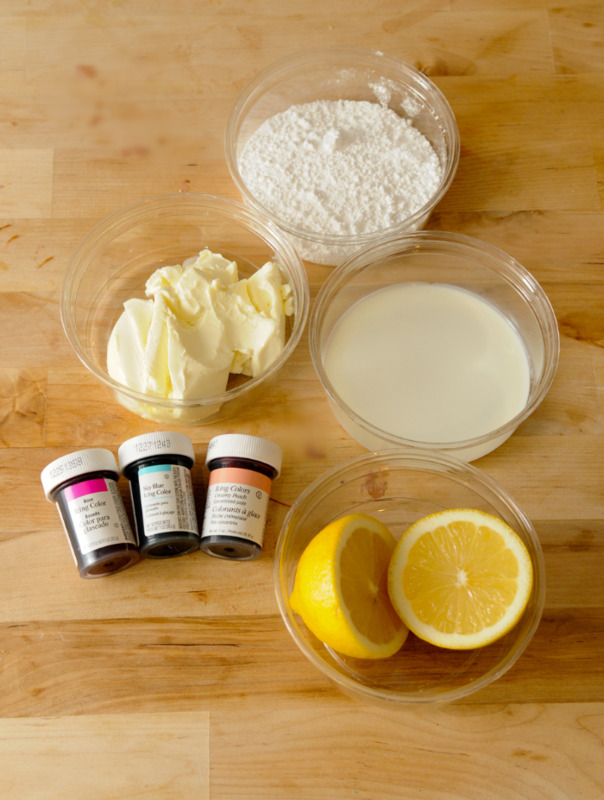 Beat together mascarpone, powdered sugar, lemon juice, and cream. Mix in food coloring if using.